Great news everyone! 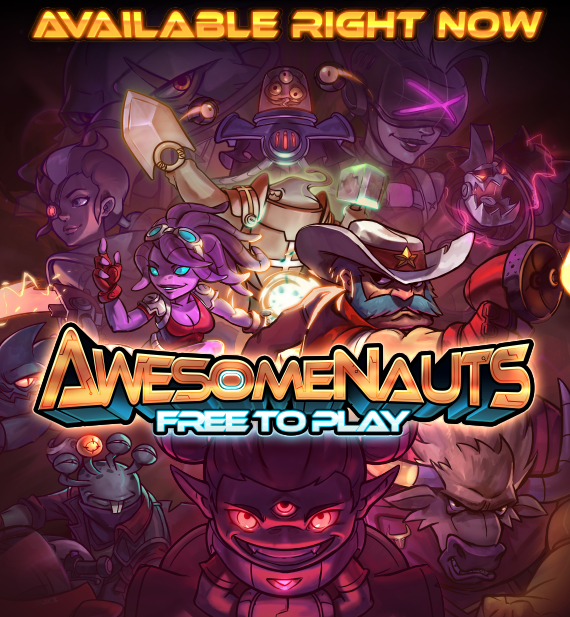 Awesomenauts is now free to play on Steam! This transition has been in the works for years and we’re incredibly excited about making the game available to many more players around the world! A big thank you goes out to our community for helping us make this happen and for all the efforts you have taken to welcome new players! From writing guides in the guide contest and setting up tournaments specifically aimed at newcomers, to hosting shows about the competitive scene and organizing community events to highlight awesome custom maps… you guys are the best! Looking beyond the coming weeks, I can tell you we already have lots of new content lined up as well. We’ve recently been teasing a new character that will join the Awesomenauts in Update 4.1 and you can look forward to the full reveal on May 31st! Missed the last teaser image we did for the new ‘Naut? You can find it below! Join us on the Streamisho at 17:00 EU / 16:00 UK / 11AM ET / 8AM PT today as we celebrate the free-to-play launch of Awesomenauts and have a shot at winning cool skins! For now, thanks again for all your support. You inspired us to make Awesomenauts into the game it is today, we are incredibly proud of what we’ve built together with our community over the years. 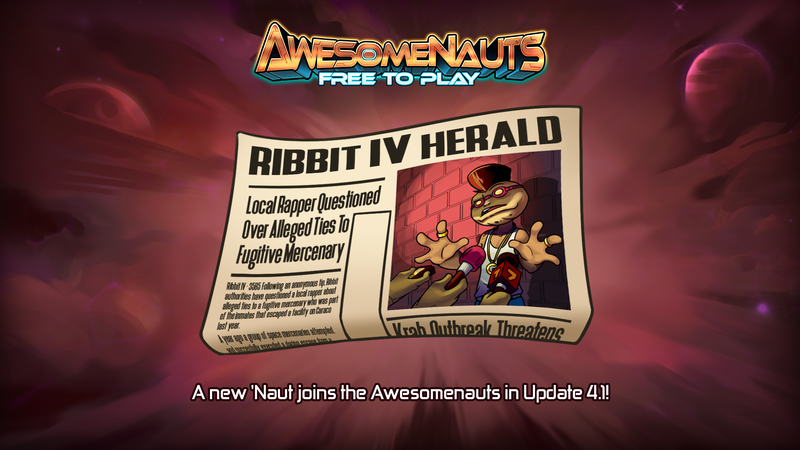 Rock on, and go play some ‘Nauts!